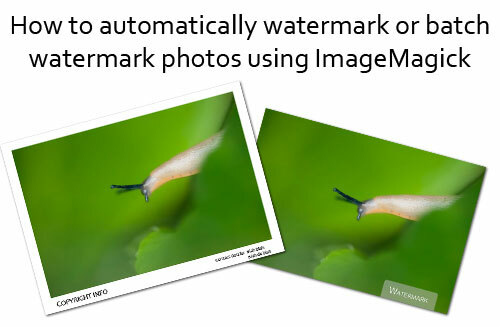 In this article I’ll share a couple of ways to use ImageMagick to add a watermark to a photo. ImageMagick is a command line program, which is perfect for this job as that means it can scripted. I use it on my photography website so I can upload original size photos, then the images can automatically be resized and have a watermark added. I won’t go into detail on the image resizing in this article, as I have a feeling the article will already be quite long. But maybe I will cover that aspect in a future article.